Super Bowl Halftime shows provide fans with a halftime experience worthy of pop-cultures biggest stage. In fact Super Bowl Halftime shows are typically the most-watched musical event of the year. Here's a look at the esteemed list of previous Super Bowl halftime performers and National Anthem Singers. Entertainment during the Super Bowl represents a fundamental link to pop culture, which helps broaden the television audience and nationwide interest. As the Super Bowl itself is typically the most-watched event on television in the United States annually, the halftime show has been equally-viewed in recent years. An esteemed list of halftime acts and national anthem singers at the Super Bowl include Lady Gaga, Coldplay, Katy Perry, Bruno Mars, Madonna, The Who, Bruce Springsteen & The E Street Band, Tom Petty and the Heartbreakers, Prince, the Rolling Stones, Paul McCartney, U2 and more. During most of the Super Bowl's first decade, the halftime show featured a college marching band. Super Bowl halftimes in the second decade featured a more varied show, often featuring drill teams and other performance ensembles; the group Up with People produced and starred in four of the performances. The middle of the third decade, in an effort to counter other TV networks' efforts to counterprogram the game, saw the introduction of popular music acts such as New Kids on the Block, Gloria Estefan, Michael Jackson, Clint Black, Patti LaBelle, and Tony Bennett. Starting with Super Bowl XXXII, commercial sponsors presented the halftime show; within five years, the tradition of having a theme -- begun with Super Bowl III -- ended, replaced by major music productions by arena rock bands and other high-profile acts. In the six years immediately following an incident at Super Bowl XXXVIII where Justin Timberlake exposed one of Janet Jackson's breasts in an alleged "wardrobe malfunction", all of the halftime shows consisted of a performance by one artist or group, with the musicians in that era primarily being rock artists from the 1960s, 1970s and 1980s. These shows were considered "family friendly" and the time in which they took place has been described as "the age of reactionary halftime shows. Since Super Bowl XLV, the halftime show has returned to featuring popular contemporary musicians, with the typical format featuring a single headline artist collaborating with a small number of guest acts. 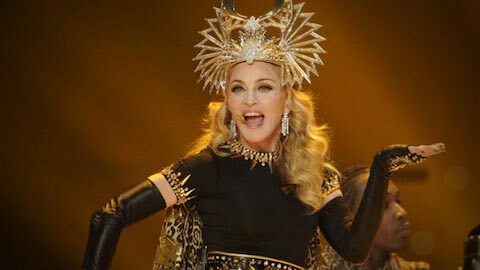 The NFL does not pay the halftime show performers an appearance fee, though it covers all expenses for the performers and their entourage of band members management, technical crew, security personnel, family, and friends. Super Bowl XXVII halftime show with Michael Jackson provided an exception, as the NFL and Frito-Lay agreed to make a donation and provide commercial time for Jackson's Heal the World Foundation. According to Nielsen SoundScan data, the halftime performers regularly experience significant spikes in weekly album sales and paid digital downloads due to the exposure. For Super Bowl XLIX, it was reported by the Wall Street Journal that league officials asked representatives of potential acts if they would be willing to provide financial compensation to the NFL in exchange for their appearance, in the form of either an up-front fee, or a cut of revenue from concert performances made after the Super Bowl. While these reports were denied by an NFL spokeswoman, the request had, according to the Journal, received a "chilly" response from those involved. 'It's a Small World' was the first highly produced Super Bowl halftime show. During the halftime show, rival network Fox aired a special live episode of In Living Color, one of the first deliberate attempts at counter-programming. The show drew over 22 million viewers away from the Super Bowl telecast. In mid-1992, citing this, Select Productions pitched the concept of exclusively featuring live concert-type performances from top contemporary musical artists. The concept and pitch is attributed to Select Productions' employee Rick Lewis and prompted the change of the 1993 halftime show to showcase Michael Jackson. 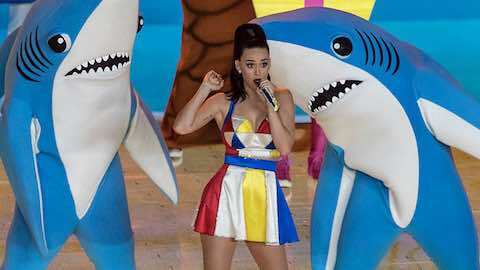 Notes: This halftime performance increased the TV ratings by a significant amount. It has been claimed to be one of the most watched events in American television history. After 1993, the NFL made a deliberate effort to attract top performers for the halftime shows. Notes: Travis Tritt of Atlanta, joined several other artists in history to perform in the halftime show in his own hometown. The special guests for the finale included: Stevie Wonder, Ashley Judd, Lisa Hartman Black, The Georgia Satellites, Joe Namath, Elijah Wood, and Charlie Daniels. Madonna's performance during the Super Bowl XLVI halftime show received mixed reviews, but most critics applauded the Material Girl's performance [ Continue ] ... .
Coldplay, Beyoncé, Bruno Mars, Mark Ronson, Gustavo Dudamel, University of California Marching Band and Youth Orchestra L.A.
"God Bless America"/"This Land Is Your Land"
NFL Football: "Super Bowl Performers & Performances"